Animated videos: what is motion graphics and why use it? What are animated videos and why should I use them as a strategy for my business? If you have been following up on market trends, you probably already know that among the different types of content that can be created, videos are the ones that usually get the most attention. This can be explained mostly because this format makes it possible to approach pretty much any subject in an attractive way, which makes them dynamic and easily understood. Among the many features you can add when creating a video, those who use animated images are standing out in the market because of the impact they have on the audience, the variety of effects that can be applied, and the lack of difficulty when creating new content. In this post, we’ll talk a bit more about this subject, explaining what animated videos are, what they are used for and how to actually create them. Find out the potential of a good animation below and see how it can be used to boost your business, increase your sales, attract customers, spread ideas, or simply convey information. Animated videos, also called motion graphics, are, essentially, animated graphic designs that gain movement on the screen. They are used mainly when the goal is to explain something in a more didactic and fun way, to sell or even to demonstrate the use of a product. Despite the similarities to traditional videos, there are quite a few differences that come to mind. In conventional videos, called classic animation, the images are built frame by frame, with the inclusion of moving and sometimes realistic drawings. In animated videos, simple geometric shapes can be used and the result is a video that adds both digital and hand-drawn features. In addition to the geometric shapes, texts, icons, illustrations and other resources can be used to make the images richer, creating an immersive experience for those who are watching. Over time, these forms, texts, and icons go through customization, which makes the material gain even more life. This video production technique, despite having been created a few decades ago, has been gaining new features recently. Animated videos can be seen in the cinema, in graphic design and especially, in advertising. They are an option to present new ideas to customer, services, proposals and more. They are a simple and didactic way of talking to your audience, as well as attracting your attention and arousing the audience’s curiosity. Why use animated videos in your strategy? The first reason to use animated videos in your strategy of promoting or selling products is that they are excellent visual options. It took quite a while for creators to realize that only texts and pictures may not be enough to get an idea across. This approach may have worked in previous decades, but nowadays, we need something faster, more dynamic, and with strong visuals. The use of simple shapes with geometric references, animated images, texts, and narration helps to explain concepts, convey ideas and create a connection with the viewer. When explaining the operation of a product, for example, this feature is excellent especially because it is very didactic, which facilitates communication. After all, animated videos help showcase services and products quickly, simply and directly. Moreover, animations are great for storytelling, which is one of the strategies most often used to convince the client that you are offering something that they really need and which they can identify with. How to create animated videos? Although creating animated videos is not the most complicated thing in the world, not everyone knows how to do it. It takes some basic video editing skills and knowledge, plus a lot of creativity, good ideas, and a strong connection to the brand you want to promote and the information you intend to get across or sell through the video. Therefore, lots of companies end up outsourcing the animated video creation section by hiring specialized people in that area. But in case you can’t invest in it now, don’t worry. There are some online resources that offer great quality results. They are dynamic and easy to use tools that will simplify the process of creating animated videos. Before showing you some online tools options, we’ve come up with a simplified guide with the 3 key steps to help you create animated videos. That way, you’ll be more prepared to get started. Creating a motion graphic calls for a well-defined goal. It’s not simply created without a purpose. If there is no clear objective from the outset, it’s not worth investing in the production of these videos, as the material will be of no practical use. Which means you will spend a lot of time and effort to create rich content that may, in fact, not be used. So before you start creating animated videos to explain everything about your business, define its purpose. Think about the idea, product, or service you intend to advertise to understand if this format is right for you. As we mentioned, animated videos are different from traditional videos mainly because they use more geometric forms, animations, texts, icons, and narration. Although just like in traditional videos, you have to follow a script. In other words, you need to think of the sequence in which the information will be displayed on the screen, as well as the content that will be shown and especially, the narration that must be done on each image. When it comes to creating the video script, it’s important to think about the whole story that you’d like to tell. It is also interesting to think and discuss if narration will be useful on each case, or whether everything should be displayed in text. In addition, it’s in the script that you will add the characters, the soundtrack of the entire video, among other information that is essential for the person who is responsible for the motion graphics design. A good way to find out in advance what the video is going to look like when it’s done, is to keep a storyboard. It’s a board in which all the information related to the video is drawn up and written. This idea is very interesting because it gives you a clear visual concept of the whole video, scene by scene. Having a storyboard is indispensable if you want to work more efficiently and avoid redoing things. It’s also a great way to let all the people involved in the process of creating the motion graphics know what needs to be done. Now you know what three steps you need to take. So let’s talk about some tools used to create animated videos that can be easily found. VideoScribe is a platform that enables the creation of animated videos quickly and intuitively and it’s used mainly by artists and educators. In it, you find thousands of high quality, hand-drawn images. In addition, the platform has a large gallery of songs that can be used as the soundtrack to your motion graphic. The VideoScribe user can also upload your own materials, such as images and music, to create a rich and unique material. If you choose to upload your own content, it is crucial to keep an eye on the quality of your images. Use photoshop or other programs to pre-edit the images so that they are all high-quality. Among the clients of the platform is BBC, one of the largest television producers in the world. “Customizing videos with Wideo does not require any effort” is the message found on the homepage of this platform. And, in fact, whoever uses it reports that Wideo is accessible, in addition to having versions in other languages, which greatly makes it easier to create animated videos mainly for those who are starting now. The system offers several templates as an example and can be edited by users. This makes the creation process much easier since you don’t have to start from scratch. The site is primarily targeted to businesses and even customers who claimed to have increased their conversion rate, especially from email marketing, by inserting animated videos produced with Wideo. Adobe After Effects is one of the most complete options available on the market in terms of creating animated videos. Adobe is known to designers and content creators for offering a number of tools and effects having this audience in mind. As they proudly advertise on their home page, it’s possible to create a fire or even make it rain by using this program. Showbox is a platform that has well-known clients such as Wix and P&G. 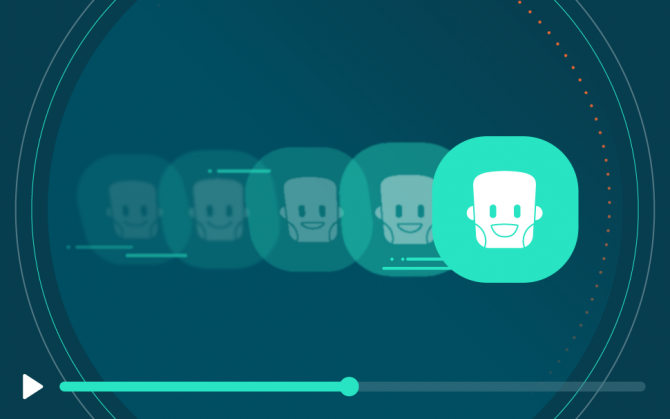 It offers everything you need to create and customize animated videos and one of its significant advantages is the great customer support they provide. You can be assisted by great professionals who understand pretty much everything there’s to know about animated videos. Want to find out about an animated videos program used by Coca-Cola, Google, eBay, Cisco, and Starbucks? Powtoon is recognized for offering high quality in video content creation, which explains its vast number of high-end customers and companies in the market. One of the reasons to recommend this tool is its platform innovation. Top-grade features, unique, high-quality images and videos that come out with an incredible result. These are all definitely worth a try. As you may have concluded, videos are a growing trend when we think about promoting a business and increasing sales. They bring the relationship of customers with the product and the brand closer, they make it easier to get an idea across, which surely guarantees better results for the company. Moreover, they make your content look visually appealing, while still being accessible to all. Animated videos are just one of the video formats available for creating content. There are other formats as interesting as this one that can also be used in your business strategies. In order to have truly professional content, investing in a good microphone and a voice recorder for videos is worth it. Read on and find out why! Check out a step-by-step to start your YouTube channel right away!